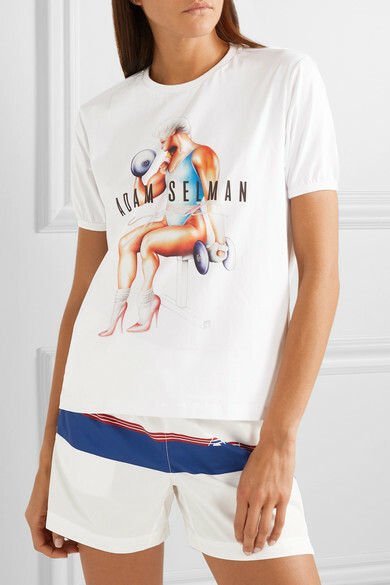 Adam Selman Sport's T-shirt will surely inspire you to hit the gym - it's printed with a female weightlifter wearing an '80s-inspired outfit. 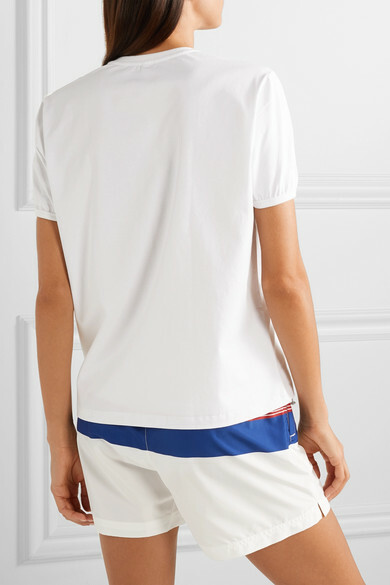 Made from stretch-cotton jersey, it's cut for a relaxed fit and has elasticated cuffs that give the short sleeves subtle volume. Team it with the label's shorts at the studio. Shown here with: adidas Originals Sneakers, Alexander Wang Belt bag.